Kui Ren is SUNY Empire Innovation Professor and the director of the Ubiquitous Security and Privacy Research Laboratory (UbiSeC) in the Department of Computer Science and Engineering, University at Buffalo, State University of New York, where he joined in 2012 as an associate professor and was promoted to full professor in 2016. Previously, he has been with the Department of Electrical and Computer Engineering at Illinois Institute of Technology (IIT), where he received early tenure and promotion in five years starting 2007. He received degrees from three different majors, i.e., his Ph.D in Electrical and Computer Engineering from Worcester Polytechnic Institute, USA, in 2007, M.Eng in Materials Engineering in 2001, and B.Eng in Chemical Engineering in 1998, both from Zhejiang University, China. 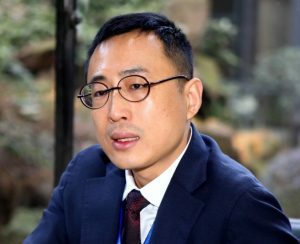 His current research interests include Data and Computation Outsourcing Security in the context of Cloud Computing, Wireless Systems Security in the context of Internet of Things, and Crowdsourcing-based Large-scale Data Acquisition. He has published frequently in peer-reviewed journal and conference papers. His H-index is 54, and his total citation has exceeded 19,000, according to Google Scholar (as of Aug. 2017). More than 10 of his publications have been each cited more than 600 times, with the highest exceeding 2,000. His research has also been widely covered by the media, including CBS News, Scientific American, NSF News, ACM TechNews, Science Daily, The Conversation, etc. He has delivered more than 100 keynote/invited talks at conferences and universities worldwide. Prof. TAN Kay Chen received the B.Eng. degree (First Class Hons.) and the Ph.D. degree from the University of Glasgow, U.K., in 1994 and 1997, respectively. He is a Professor with the Department of Computer Science, City University of Hong Kong, Hong Kong. He has published over 130 journal papers and over 130 papers in conference proceedings, and co-authored six books. His current research interests include artificial/computational intelligence and machine learning, with applications to evolutionary multi-objective optimization, data analytics, prognostics, BCI, and operational research etc. He is the Editor-in-Chief of IEEE Transactions on Evolutionary Computation (IF: 10.629), was the EiC of IEEE Computational Intelligence Magazine (2010-2013), and currently serves on the Editorial Board of over 10 international journals such as IEEE Transactions on Cybernetics, IEEE Transactions on Computational Intelligence and AI in Games, Evolutionary Computation (MIT Press) etc. He has been an invited Keynote/Plenary speaker for over 60 international conferences and was the General Co-Chair for IEEE World Congress on Computational Intelligence (WCCI) 2016 in Vancouver, Canada. He also serves as the General Co-Chair for IEEE Congress on Evolutionary Computation (CEC) 2019 in Wellington, New Zealand. He is a Fellow of IEEE, an elected AdCom member of IEEE Computational Intelligence Society (2014-2019), and an IEEE Distinguished Lecturer (2011-2013; 2015-2017). 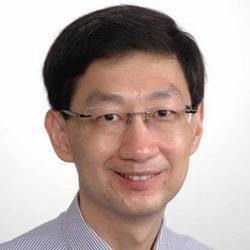 He received the 2016 IEEE Transactions on Neural Networks and Learning Systems Outstanding Paper Award. He was the awardee of the 2012 IEEE Computational Intelligence Society Outstanding Early Career Award for his contributions to evolutionary computation in multi-objective optimization. He also received the Recognition Award (2008) from the International Network for Engineering Education & Research (iNEER) for his outstanding contributions to engineering education and research.